Top Marks; Help your child with spellings using games. Talking Point: A great website to support pupils with speech and language. 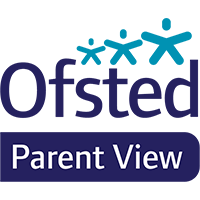 Ofsted Parent View: Parent View gives you the chance to tell Ofsted what you think about your child’s school. Jobcentre near me: find local Jobcentre Plus offices, benefits and employment information. The Oxfordshire Teaching Schools Alliance is committed to recruiting and training passionate individuals who will become outstanding teachers working in schools across Oxfordshire. Childline: Get help and advice about a wide range of issue or need to talk? SCASKids: South Central Ambulance Service website offering advice and information for children, parents and teachers to help them stay safe and healthy in a number of situations. Thinkuknow: Advice for students, parents and carers and teachers. The latest information on the sites you like to visit, mobiles and new technology. Talking Pants: A child friendly way of ensuring your child knows how to keep their bodies safe.